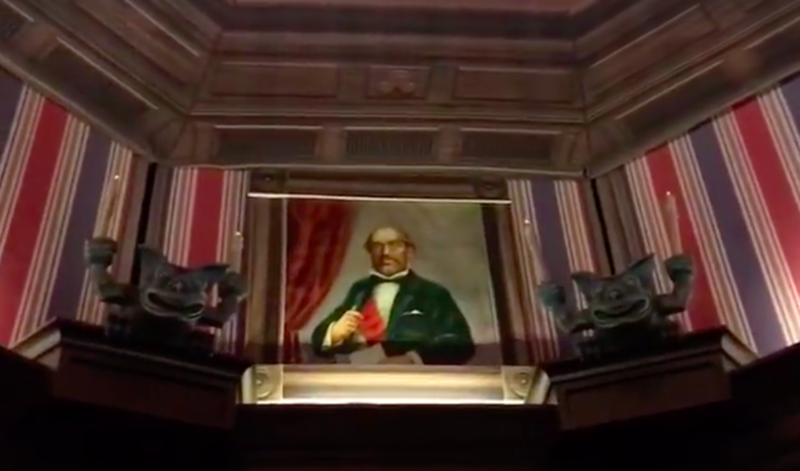 Remember when we showed you that jaw-dropping recreation of a Haunted Mansion stretching room last week that was installed in a private residence? That, my friends, is just the tip of the iceberg. 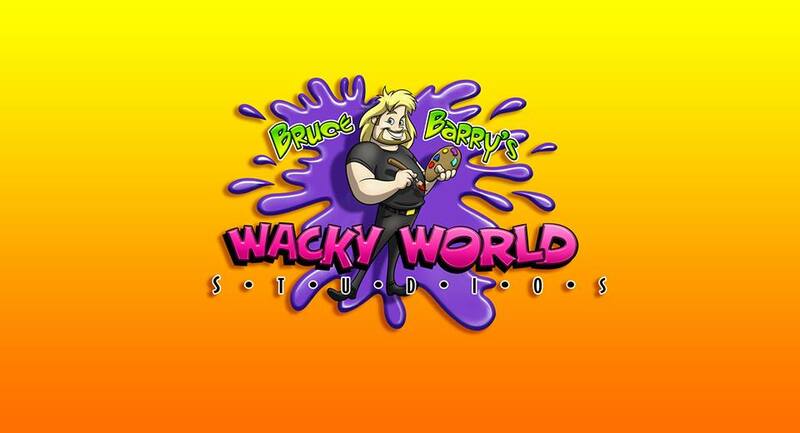 I had the chance to chat with the creator of that stretching room recreation, Bruce Barry of Wacky World Studios, and I found out that there is SO much more being designed for this house. As Barry explained to me, the Haunted Mansion stretching room is only a small *part* of this incredible Disney fan mega home. In addition, there will be rooms themed to “Star Wars”, “Toy Story”, “Alice in Wonderland”, “Winnie The Pooh”, “Frozen”, “Aladdin” and yes… even more. All to the same impeccable quality and attention to detail that the Haunted Mansion stretching room was lovingly created. We will be featuring some of the work that is being installed into this Disney mega fan home in a few weeks. More importantly, we will have extensive coverage of all the work that has gone into this house in a few weeks. Meanwhile, I wanted to know… who did this? Frankly, the attention to detail of the work going into this house looks like the same quality you’d find in a Disney theme park. As fate may have it, Disney quality runs through Barry’s family. 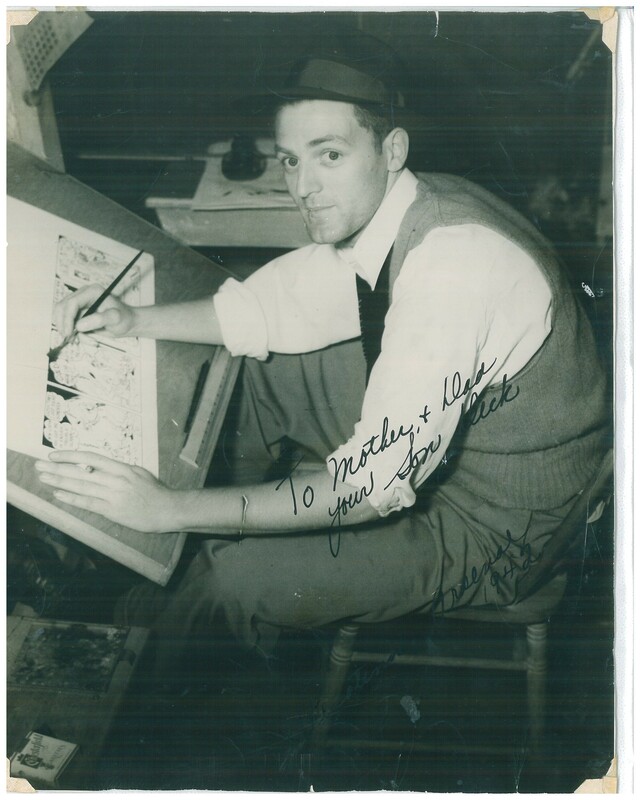 His dad, Richard Berry, was a cartoonist for Walt Disney Animation. He worked under the tutelage of Walt himself and was a background artist for “Snow White and The Seven Dwarves.” Growing up, Richard taught Bruce his tools of the trade. So at a very young age, Bruce started learning cartooning and was taught how to make signs. After his father passed away during his teen years, Bruce decided to put those skills to use by making whimsical signage up and down the New Jersey boardwalk. Working from gig to gig, times were tough and Bruce even lived in his car for a while. Eventually, his family moved to Florida where he made connections with interior decorators. Primarily he worked on creating whimsical cartoon characters for murals that were put into church youth areas around the country. Then an opportunity came knocking at the Sally Corporation in Jacksonville, Florida. For those who aren’t familiar, the Sally Corporation is known for creating animatronic figures for such big names as Universal, Cedar Fair, Legoland and more. Most recently, they are best known for their Justice League dark rides which span several Six Flags parks around North America. While at Sally, he learned and partnered with other artisans who were proficient in things like sculpting, creating props and more. It’s with this skill set and passion that he started his own venture, Wacky World Studios based just outside of Tampa, Florida. Barry certainly still uses those cartooning skills to create unique characters for a variety of locations from churches to dentist offices and beyond. How does this process work? Bruce and his team come to the location awaiting transformation. The client tells Bruce and his team how they envision what the space to look like. 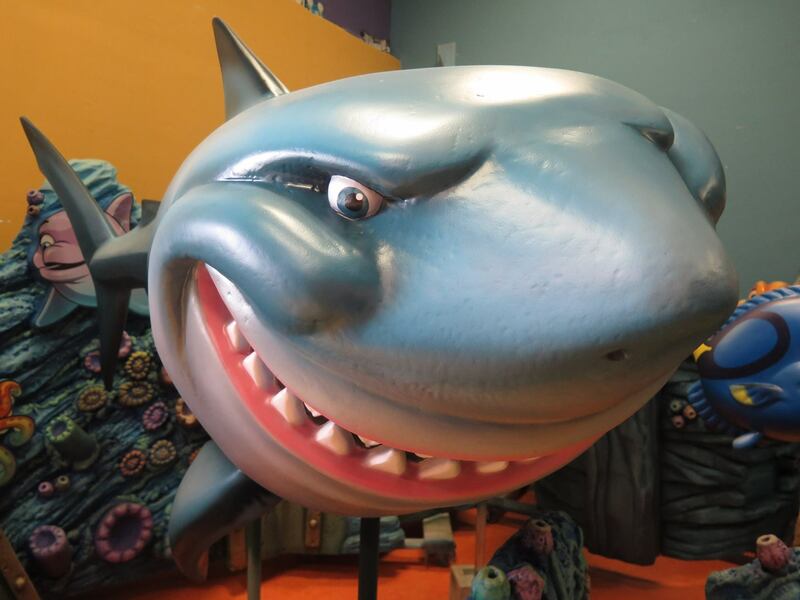 Maybe a dentist wants their patients in the waiting room to feel like they are in the ocean complete with floating sharks, jellyfish, coral… the whole nine yards. Bruce then sketches what he envisions for the space and with client approval, they move forward creating a game plan to transform the space. 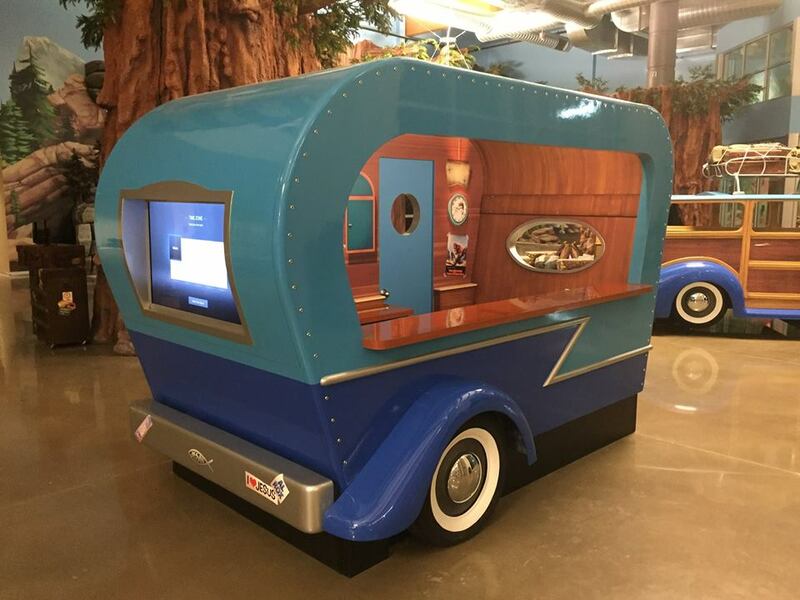 Wacky World Studios offers complete turnkey solutions. 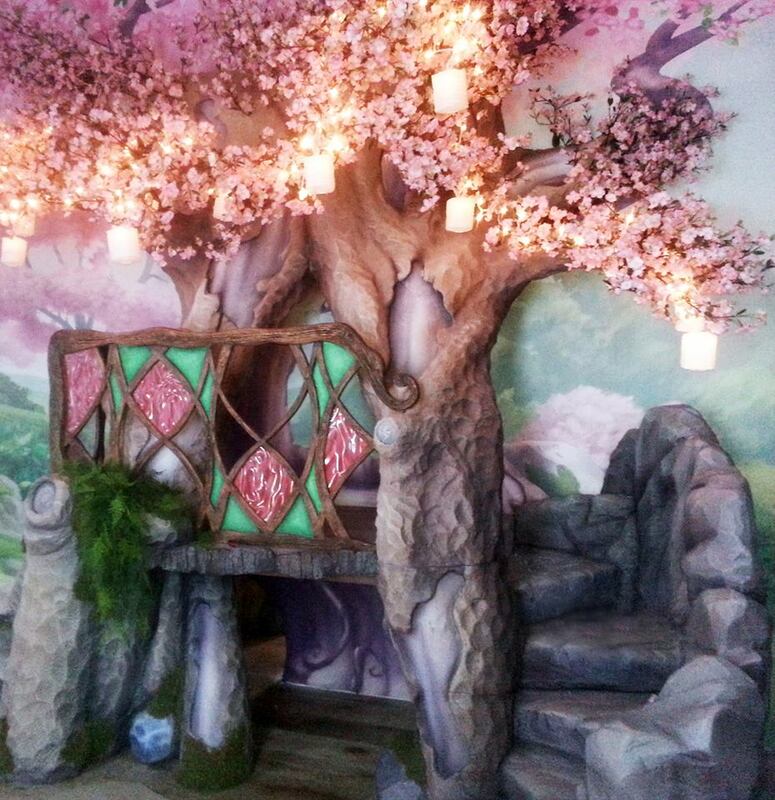 Meaning everything from murals, to paint to the fabrication of figures is all done in-house. A transformation can be as simple as adding a unique mural to a wall to… well… a complete house with every room exquisitely detailed to your favorite Disney films. 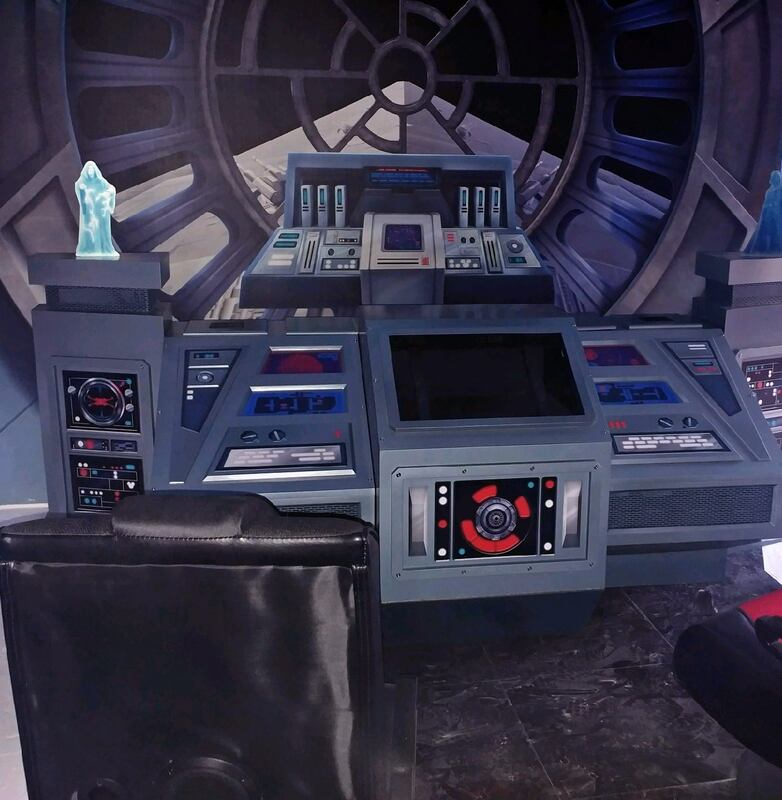 Personally, I think Wacky World Studios is about to take off into being the premier studio where mega fans can create the ultimate tribute rooms to their favorite thing. Whether it be Disney, comic books, a sports team… anything… these guys do amazing work. If you’ve noticed the quality of work going into this Disney fan’s home sprinkled throughout this article, you know what I’m talking about. Finally, we promise Theme Park University will give you dozens and dozens of photos in the coming weeks regarding what I’m pretty sure is the ultimate Disney-lovers fan home. Bruce has lots of behind-the-scenes details he’s waiting to share of how this project was put together and let me tell you, it’s massive. He’s been working on it for nearly a year. Stay tuned to Theme Park University in the coming weeks and be prepared for your jaws to hit the floor. You won’t want to miss this. Meanwhile, if you want your space to be transformed into another world, visit Wacky World Studios and tell them Theme Park University sent ya! 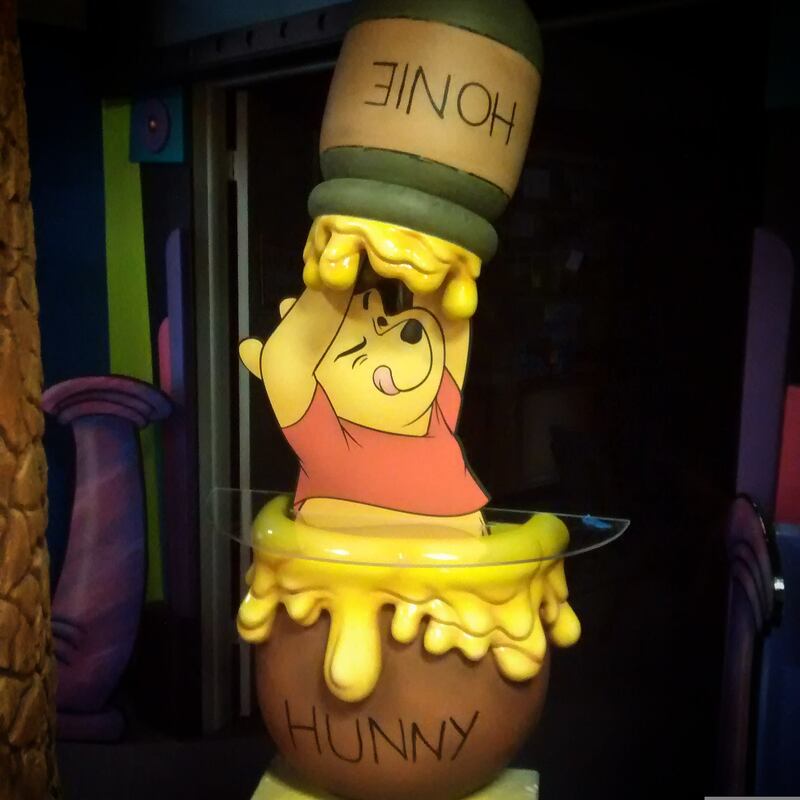 This entry was posted in Disney, Outside The Parks and tagged Disney fan, Disney fan dream home, Disney park, Haunted Mansion, theme park, Wacky World Studios. Bookmark the permalink. Trackbacks are closed, but you can post a comment.